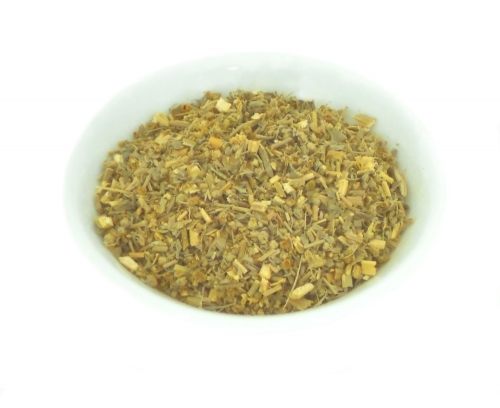 This herb is used medicinally to remedy indigestion and gastric pain. May be helpful to stimulate and invigorate the whole digestive system, which may help elevate indigestion, intestinal colic and abdominal bloating. It may also help to expel intestinal worms or parasites and has been used to help the body deal with fever and infections. Actions: bitter tonic, carminative, anthelmintic, anti-inflammatory. Caution: Contraindicated during pregnancy and prolonged use can cause headaches.